Stand-alone and expandable products that seamlessly integrate with existing programs of instruction. Part-task trainers provide key elements of the specific procedures or critical tasks and skills being learned, and allows students to focus solely on that specific procedure. These trainers give students the opportunity for repeated practice to achieve mastery of those skill sets. 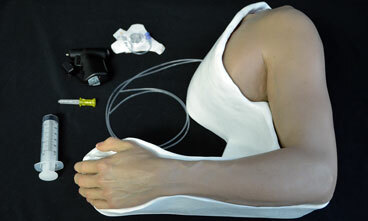 SIMETRI part-task trainers are comprised of simulated tissue that is both anatomically and physiologically realistic to provide the highest fidelity and effective medical training possible.